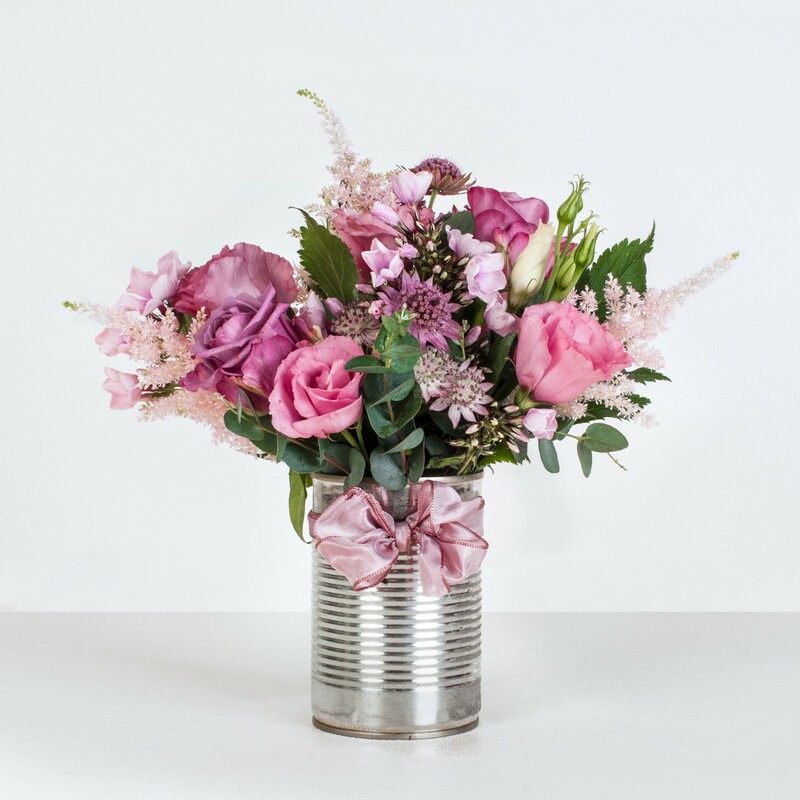 Whether dusky, flamingo, pearly or pastel, the combination of pink hues makes for a real eye-catching display, clustered together in a casual yet charming up-cycled can. The delicate candy pink lisianthus are contrasted well with the more fierce and unusual astrantia flower, with its spiky starburst of petals. The sweet blooms of blushing phlox are gathered next to sprays of feathery astilbe, and the display is completed by silvery eucalyptus and, of course, the chic glamour of gorgeous roses.